Check out the Mickey Bag we found! It’s full-on Mickey with a hint of Minnie! We think this Mickey Love Story Tote Bag is the perfect thing to help show off your Mickey Love while getting stuff done around town! 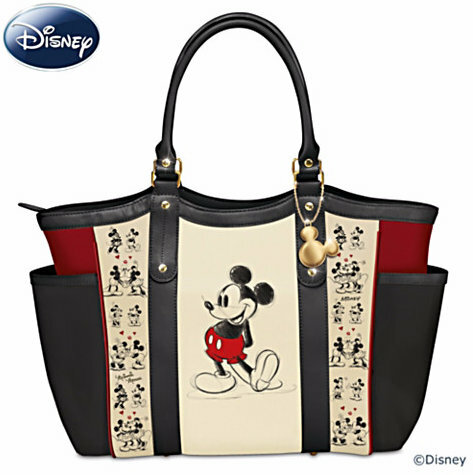 Have you seen our Disney Handbags Gift Guide? It’s got a ton of other fun Disney Bags you should totally check out! Love this color combination, very chic.